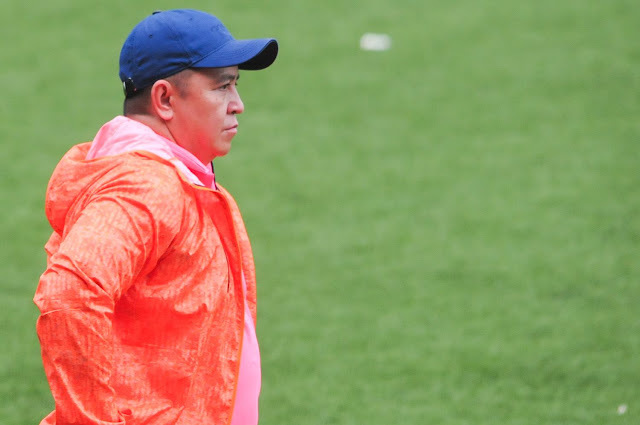 BINAN--Contrary to speculations and assumptions, Coach Ernie Nierras claimed that the reason behind the PFL's decision to strip three points from Stallion Laguna in the league table happened last season. "We're confused. If that was because of an incident last season, why have we been penalized this season?" Nierras said on Friday during the pre-match press conference between Laguna and Iloilo at the Alonte Sports Arena. The Liga Futbol Inc., the PFL's governing body, handed out a verdict on Thursday ordering Laguna to give up three points from its record. The club got the points from its lone win of the year last week against Cebu. The demerit, however, is not in the form of a forfeiture, meaning Laguna will still have the one win it has in the standings, while Cebu remains winless after two matches. Based on recent events, many conjectured that the decision has something to do with the LFI's move to investigate Laguna's decision to open the grandstand of the Binan Football Stadium to the fans for its season opener against Marikina despite the order to have the match behind closed doors. But according to Nierras, the matter actually stemmed from a match on the road that took place last year. "The incident happened in the Ceres [Negros] match in June or July I believe," he continued. He then debunked the myth that the stadium concerns during the Marikina game led to the verdict. "It has nothing to do with any game this season. It was [due to] an action that happened last season," he continued. He further expressed his dismay on the decision, saying, "Now, we're being penalized for this season? What's the connection?" The Laguna management made an appeal to the said decision just as the PFL issued the statement. "We'll leave it up to the PFF," Nierras continued.